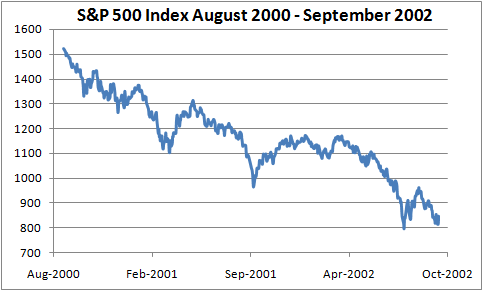 The S&P 500 Index lost about 46% between August 2008 and September 2002 when the internet bubble burst. 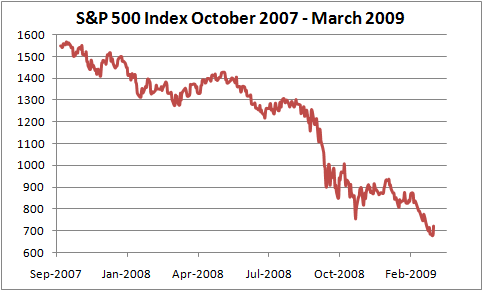 Then it took the benchmark 5 years to reach a new all-time high in October 2007. Then there came the subprime mortgage crisis, the collapse of the housing market and the financial market, eventually, the recession. In about one and a half year, the index reached a fresh 12-year in March 2009, losing 56% from its peak in October 2007. The decline is more severe than when it happened last time. Nobody knows exactly how the stock market will recover from here or how long it will take to reach another record. 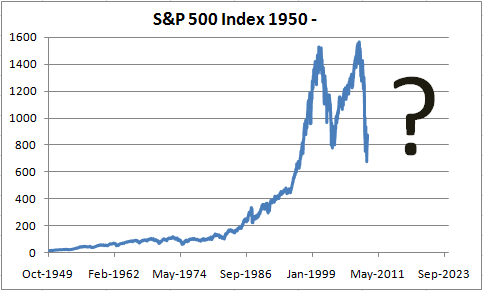 But one thing for sure will happen is that the market will bounce back eventually, as long as we give it enough time. In 2002, equity mutual funds as a whole saw its only negative annual inflow since 1990 as investors fled to safety amid tumbling stock market. 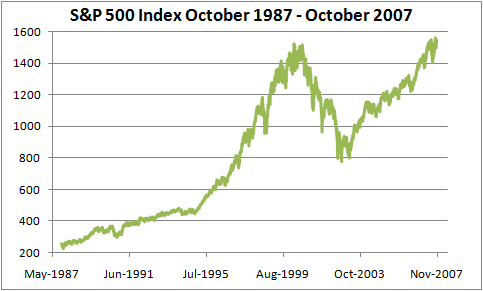 But then in 2003, the S&P 500 returned 29%, followed by another 11% gain in 2004. The 38% loss of the S&P 500 in 2008 is terrible, but it may have already set the stage for a rebound. Maybe 2009 is the year that when we look back from the future we can say the stock market bottomed in March 2009 in this round of recession. In the short-term, the stock market can be a scary place to be. But in the long run, it’s still the best place for investors. If you have time on your side, then now may be the time to get back to the stock market and invest again. I am wondering how the big M formed between 1997 and 2009 in the above picture will look like when we actually reach 2023.